Q. How do I create a Flow account? Flow is a great citation tracker tool, similar to RefWorks and will eventually combine with RefWorks into a new RefWorks sometime in 2016. Find the Flow link on our Research Tools page, or find it directly here. 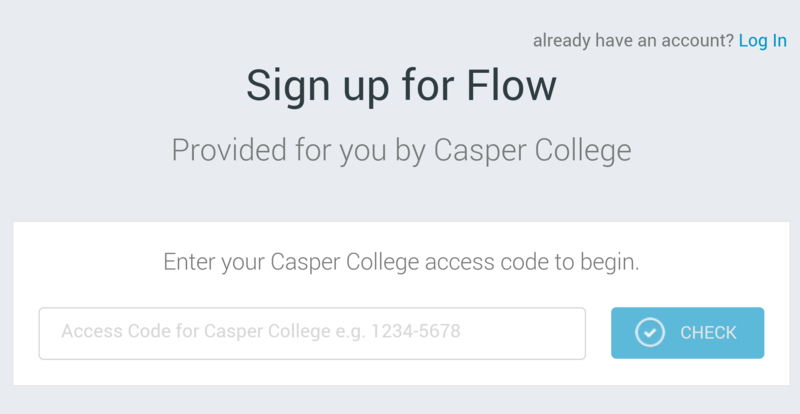 If you are on a college desktop computer, you will be led directly to the Casper College Flow login page. If you are on a mobile device or off-campus, you'll first encounter an access code screen. Contact a librarian for the access code, 268-2275. Follow the directions to create a new account. When you are asked for an email address use your Casper College email address--no other email address will be accepted. If you need further assistance, please Ask a Librarian, or call the library at 307.268.2275.